I have been taking things step by step. As of this writing, there has been no follow up in regards to my medication since the last two mishaps. A part of me wants to try something different, yet another part of me just wants to leave things alone. The more the doctor tries new things on me, the more I feel like a guinea pig. There are no takers for Ma Maow the cat as of yet. I hope that will change as time goes on. However, I'm not here to talk about my medical condition or the cat. 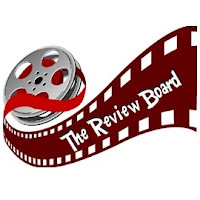 Since I started my other blog, The Review Board, I have gotten some amazing feedback. I have always loved to read and doing the reviews gives me that opportunity. I can check out different genres and get a feel as to whether I want to read them, or I may decide I never want to again. I also feel like I can assist other writers with feedback in ways to help each other. Currently, I also do reviews on web shows, TV shows, and movies, but I'm mostly passionate about helping my fellow writer. I have connected with other writers not only through TRB but also in a few groups I am a part of via Goodreads as well as Google Plus. One writer in particular welcomed my addition to her own Read and Review Board. I am happy to be included and hope my style of review is a welcome addition to what she already has established. 2. Will my partner and I be able to handle the influx if there is a consensus on open submissions? Will that facilitate the need to recruit other board members? 3. Will Wordpress remain sufficient or is an upgrade in order for the future? For me, as long as I have access to a computer, I haven't had any major issues with Wordpress. However, others have told me that access Wordpress via app has been a bit buggy as it pertains to formatting. I'm still weighing it out. There are other thoughts, but those top ones come to mind. I haven't been this active in the writing community since back in the mid 1990's. I was very deep into the Internet community, particularly the poetry community spectrum. I haven't talked a lot in depth about the things which occurred during my time being a moderator and administrator at multiple sites. Some of it is best reserved for a future book--although I may make it more of a spoof than tell-all non-fiction. I'm still playing around with it; I will see what happens. I'm doing my best to let the old ghosts go and to allow these experiences to stand on their own. So far, they have been great ones. If I didn't go through all the strife in the past, I couldn't truly treasure the people in the present. I am thankful for that.